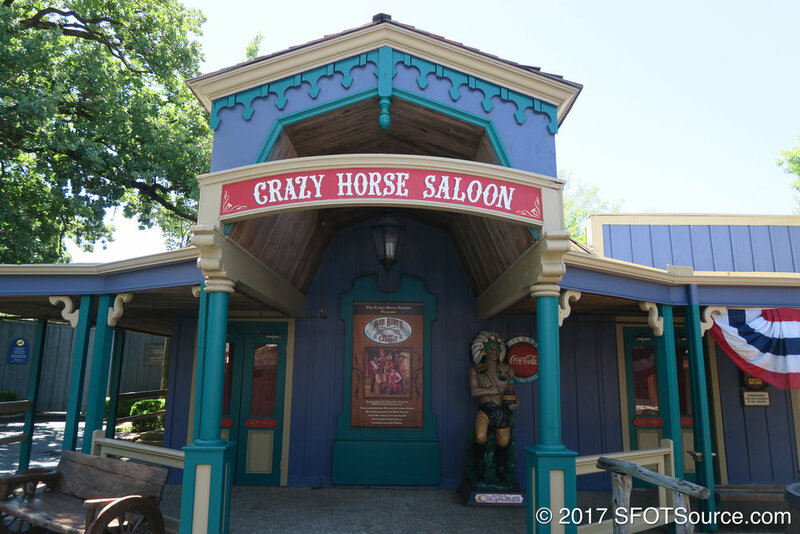 Opened in 1961, the Crazy Horse Saloon is the oldest and longest-operating indoor performance venue at Six Flags Over Texas. The venue is a small, intimate performance space that typically puts on saloon-style productions. When it opened in 1961, the saloon had a fully-functioning bar (that served soft drinks). The back bar was actually built in 1890 and imported from a real saloon while the front was built to match.